For someone who grew up with the new wave sounds of post punk long before discovering Americana, it is exciting when you come across a new band which successfully manages to combine both styles so well. 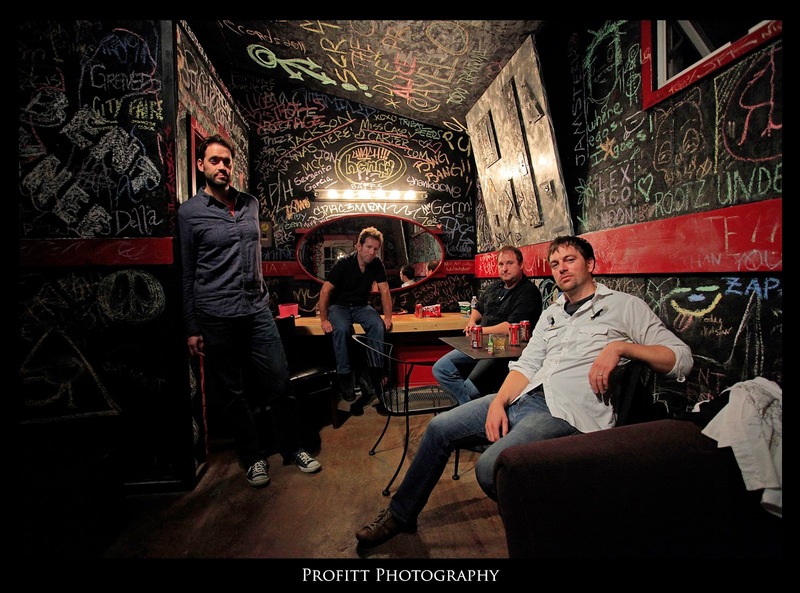 First and foremost, Massy Ferguson are a rock band raised on crashing guitars and a driving beat but are not afraid to mix in a bit of refined country to shape their music in true American tradition. VICTORY & RUINS is the Seattle based band’s fifth studio album and a release which is being promoted in the UK via extended press and a debut tour. For a record packed full of indie rock vibes, the track that perhaps stands out the most is one drenched in country sentiment. ‘Bring Back Something’ is a superbly constructed song which brings the pedal steel to the fore and is very reminiscent of their US compatriots from down the Pacific coast I See Hawks in LA. Another track to linger long in your mind is the outstanding ‘Hard Way’ where singer bassist Ethan Anderson contrasts his worn vocals with the beautiful tones of fellow Seattle artist, though now based in Austin, Zoe Muth. An enthusiastic Anderson pays tribute to this effortless contribution in the press release and it is a highly recommended track to sample online. The basic album consists of eleven songs, all band originals, although a digital version has two bonus tracks including an amped up version of Gillian Welch’s ‘Wrecking Ball’. The remainder of VICTORY & RUINS rattles along at a lively pace as core band members Anderson, Adam Monda, Tony Mann and Dave Goedde rekindle the spirit of DIY pub rock albeit with strains of stadium band quality. Opening track ‘Hello’ greets listeners with a fairly safe rock format before the album ignites with ‘Renegade’, a number possessing all the power of the late 70’s suburban youth movement. Subsequent tracks ‘2 AM Beauty Queen’ and ‘Flexed-Arm Hang’ are very much in a similar vein and, as the record evolves, a similarity to the cow punk spearheaded by Jason and the Scorchers emerges with vibrant effect. The band’s inaugural UK tour is a relatively low key introduction to this country but at least a mid- afternoon slot at the Maverick Festival will raise their profile amongst music fans prepared to embrace an explicit dose of Americana which Massy Ferguson undoubtedly possess. The album does have its more serene moments where listeners can regain their breath especially during ‘Wait Love Maybe’ and ‘Apartment Downtown’ but it’s the faster and countrified numbers which define the album’s worth. 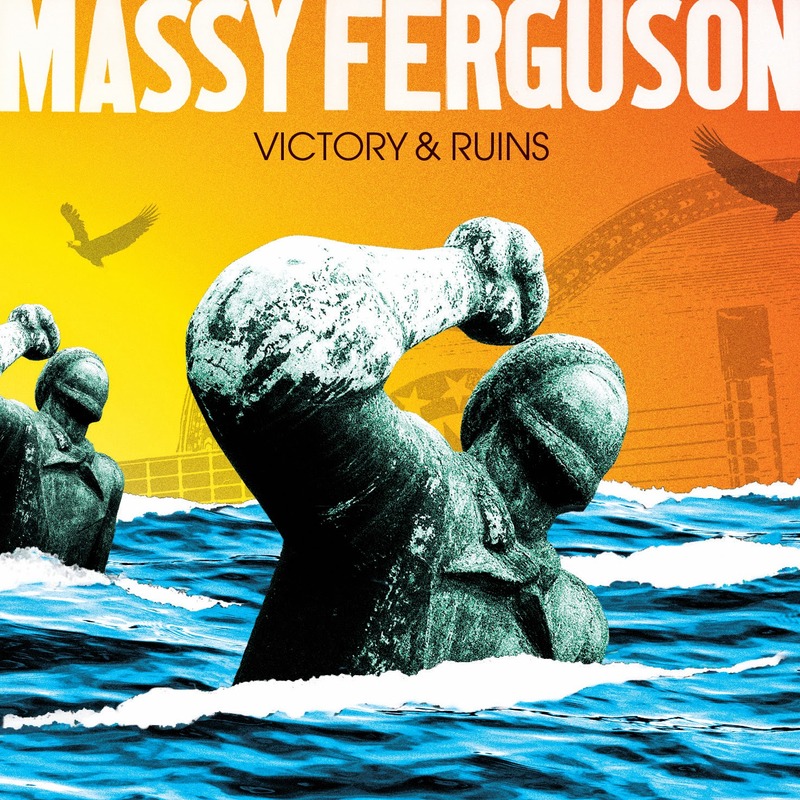 Americana music in some quarters is described as primarily rock with a tinge of country and, although this definition is open to debate, Massy Ferguson gives the theory credence. Either way VICTORY & RUINS will create its own niche in the deluge of releases within this genre of music and ‘Bring Back Something’ will surely frequent end of year lists as one of 2014’s best songs.